Post-Construction cleaning is our specialty. We know how important it is to have your project or building looking perfect when it is finally completed. We work with you in an efficient, organized manner, ensuring all your cleaning needs can be completed before your important deadlines. Expert concrete power washing services specializing in garage, precast, and exterior façade cleaning. 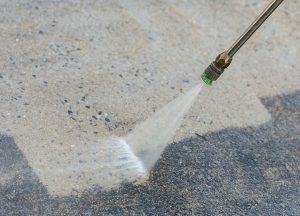 Our trained professionals ensure your concrete surfaces will be cleaned without streaking or damaging them. 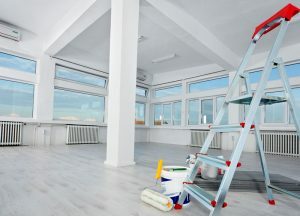 Spotless window cleaning for commercial and multi-family projects. 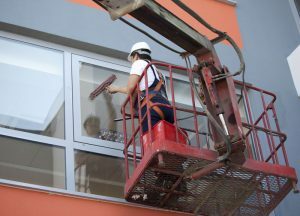 Our trained team specializes in spot, residue, and dirt removal from window panes, sills, and tracks. Trust Finishing Touch to not miss a spot on any and all of your window cleaning needs. 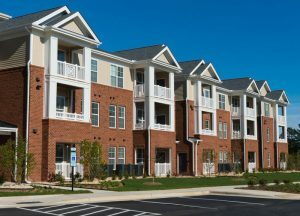 Multifamily apartment cleaning for property owners and managers. Service is personalized individually for each client as to comply with all property requirements and expectations. …Finishing Touch CC has done the final cleaning on a couple of large projects for me. The crews come in and do their cleaning, many times around the other trades doing their work. They work with the field staff and will accommodate our schedules. Jim Nirich, Vice President, HITT Contracting, Inc.